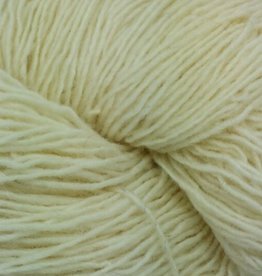 Sock - Spun Fibre Arts, a local and online yarn store specializing in natural fibres. 3DogKnits is locally hand-dyed in Ontario by Jane Steeves. 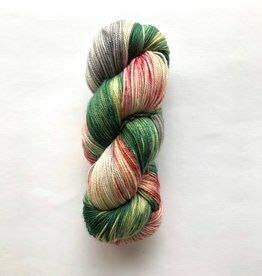 This sock yarn is 80% Merino, and 20% Nylon. Briggs & Little is Canada's oldest mill, and continues to produce Canadian yarn with a rustic character. 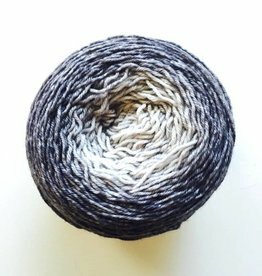 Durasport yarn is suitable for knitting sweaters, vests, socks, mittens, gloves, and hats. 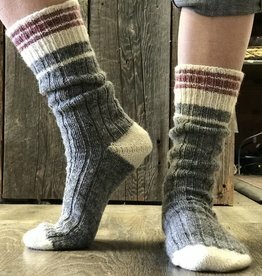 It is the yarn used in our very popular Cabin Socks Kit. 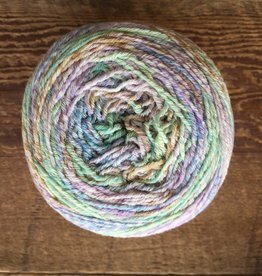 A beautiful colour changing sock weight yarn that would be perfect for socks, shawls, hats, or mittens.